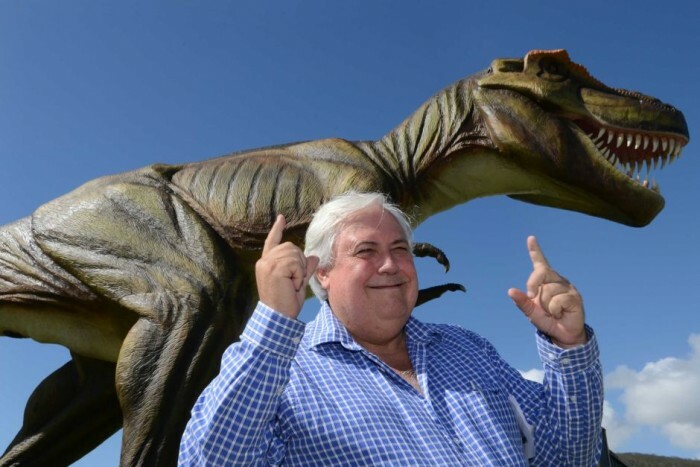 Last week, Australia’s favourite mining magnate / politician / conspiracy theorist Clive Palmer made a bid for a stake in the controversial Abbot Point development. The $3 billion expansion of the T2 coal export Terminal was abandoned by BHP Billiton in November and now Clive, and his Waratah Coal company, wants a piece of the action. Few are delighted by this prospect. Palmer has a tumultuous relationship with the QLD Government, and is currently suing Premier Campbell Newman for defamation. 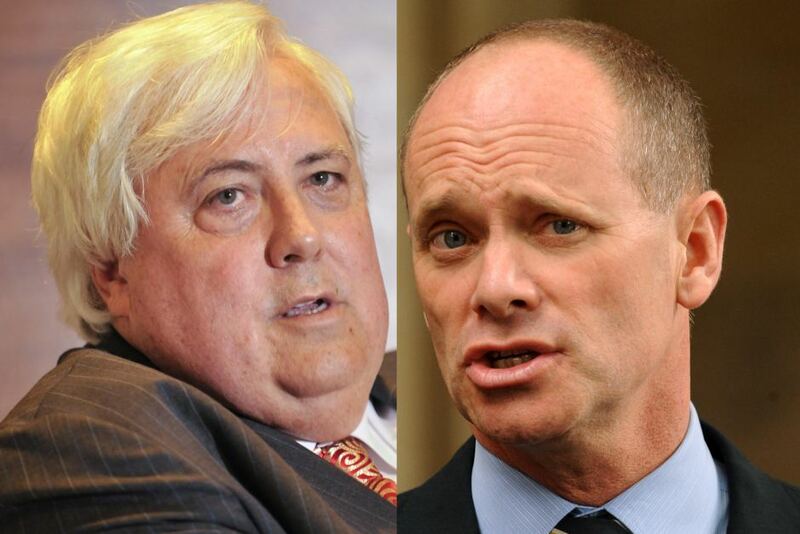 In December, Newman reluctantly approved Palmer’s Galilee-Abbot Point rail link. His previous decision to reject the railway led to Palmer’s fiery exit from his lifelong LNP membership, culminating in the establishment of his Palmer United Party. But it’s us dugong hugging, sea grass loving, reef conservationists who are really concerned. Abbot Point is situated within the Great Barrier Reef World Heritage Area, one of the most ecologically sensitive regions on the planet. Given Palmer’s history of environmental infringements and negligence, his potential involvement at Abbot Point is a scary thought. 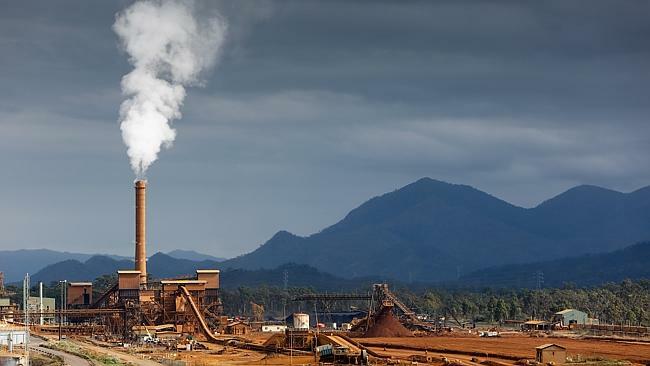 Palmer already has a poor track record with the reef, with his Queensland Nickel refinery at Yabulu, near Townsville, a repeat environmental offender. In April, chemical laden water from a tailings dam threatened to spill into the Great Barrier Reef and local waterways following heavy rains from Cyclone Ita. According to a government spokeswoman, water was “flowing over the spillway into a downstream water management system”, deeply worrying given the refinery’s position adjacent to the heritage listed reef waters. Inspectors were sent to the refinery after QLD Environment Minister Andrew Powell expressed his concern about a potential toxic leak into the reef. This lead to a temporary shutdown of operations, although Palmer strenuously denied the closure. This incident came only weeks after newly released documents revealed that the refinery had purposely discharged large volumes of toxic waste into the reef waters in 2009 and 2011, despite being strictly forbidden to do so by the Marine Park Authority. The documents also showed that the QLD Government was concerned with what it considered“ongoing problems with capacity of the water management system” at the plant, which can easily overflow during heavy rain. Minister Powell’s department had given multiple warnings to Palmer to increase the capacity of its tailings dam. Litigation loving Clive has threatened to sue the GBR Marine Park Authority if they pursue legal action against him for discharging the waste. This is the responsibility of the QLD government, who have asked Palmer to expand the containment ponds by November to prevent overflow, or face a $1.1 million fine. But despite repeated environmental infringements at the refinery, Palmer has never been fined or charged, and continues to get away with just a slap on the wrist. Further infringements relate to Palmer’s Waratah Coal company. Last year, an Environmental Protection Order was issued against Waratah Coal “for not complying with their general environmental duty requirements.” Palmer failed to rehabilitate 300 coal exploration drill holes made on private cattle property, leaving landholders concerned about contamination of their groundwater supply. These activities took place from 2009 during Palmer’s attempt to further his Galilee Coal Project, also known as the China First Project. The China First mine in the coal rich Galilee Basin was granted approval in December 2013 and will include 4 underground mines, 2 surface mines and coal processing facilities. Unfortunately for residents of the Bimblebox Nature Refuge, this means around 4,000 hectares of their much loved refuge will be destroyed for an open-cut coal mine. Ecology expert Clive has assured us that Bimblebox is ‘not important’. But those of us who will not gain economically from its destruction disagree. The reserve was previously protected from mining, with former QLD Premier Anna Bligh stating that “Labor’s policy would have the effect of ruling out mining in areas like Bimblebox nature refuge”. Sadly, this promise was not matched by her LNP successor Campbell Newman. As a result of the destruction of over half of the land, Bimblebox will almost certainly lose its ‘refuge’ status, another helpless victim of the fossil fuel industry and Australia’s insatiable appetite for coal. Most worrying is that the China First Project was approved while Waratah Coal was facing an Environmental Protection Order for failing to rehabilitate exploration holes. It shows just how meaningless environmental protections are to the QLD Government, but when its getting its advice from the coal industry, we can expect nothing less than shady behaviour and favours for big business. It’s no shock to anyone that Clive is not a friend of the environment. Nor is he unaccustomed to the occasional legal battle, either as the defendant or plaintiff. What’s baffling is his pursuit of the T2 expansion, after BHP Billiton’s smart economic decision to pull out. More and more reports are telling us of the unviability of the Galilee Basin – coal is in structural decline, China’s renewable energy program is soaring, the price of coal has plummeted. The boom days are over. Not to mention the huge international spotlight on the reef, be it from UNESCO or Ben & Jerry’s, which undoubtedly has contributed to the mass withdrawal of companies like LendLease and Anglo Coal from Abbot Point. At home, two separate legal challenges are being fought against the approval, challenges which have the potential to succeed. Grassroots campaigning groups are growing stronger by the day, with a recent victory at Keppel Bay. For once, economists, industry and environmentalists agree – to pursue the Abbot Point development just doesn’t make sense. It’s not certain how Palmer’s chances weigh up given that only last week, Seeney called him “a crook” in Parliament. What is certain is the public’s complete lack of faith in the transparency of the government, and in its ability to make decisions in their best interests. 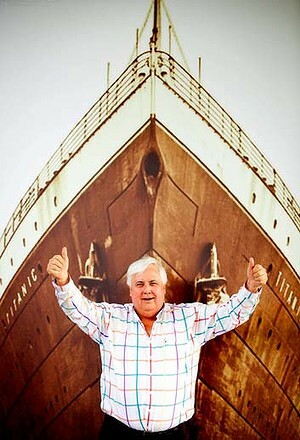 As the price of coal keeps sinking, Clive’s Titanic II seems like a better investment.